Wel­come to bm|t’s Q3 news­let­ter at the end of a record-brea­king quar­ter for invest­ment activity. If your part­ners or col­leagues might be inte­rested in our regu­lar updates, please don’t hesi­tate to share this link. The title of this quarter’s news­let­ter is not meant in the usual sense of loose tran­sac­ting. In fact, quite to the con­trary. ›Whee­ling and dealing‹ just per­fec­tly descri­bes bm|t’s activi­ties in Q3. Whee­ling, in the sense that we criss­crossed Thü­rin­gen and indeed Ger­many even more than usual this quar­ter, working with our valued cur­rent inves­tee part­ners to build suc­cess­ful busi­nes­ses and iden­ti­fy­ing and gai­ning new inves­tee part­ners. Dealing, in the sense that we clo­sed 14 deals in the quar­ter, which con­sti­tu­tes a record quar­ter of invest­ment activity for bm|t. This year, the clas­sic sum­mer lull (Som­mer­loch) tur­ned into a sum­mer foun­tain of com­pel­ling invest­ments. We will omit our tra­di­tio­nal phi­lo­so­phi­cal inves­ting com­men­tary this quar­ter, so we can focus your valued atten­tion exclu­si­vely on our many important invest­ments of the quar­ter. We hope you enjoy the quick reads about the com­pa­nies as much as we did clo­sing the invest­ments! We made our first ever invest­ment out­side of Thü­rin­gen this quar­ter. Our Mit­tel­stands­fonds Thü­rin­gen (MFT) allows for a por­tion of the fund to be invested out­side of Thü­rin­gen, and we deci­ded to employ this option for a truly excep­tio­nal invest­ment. c-LEcta is a world-leading Leip­zig-based enzyme deve­lop­ment com­pany, which rai­sed a size­able invest­ment round in order to com­plete its evo­lu­tion from an enzyme rese­arch and engi­nee­ring com­pany to deve­lo­ping and com­mer­cia­li­zing its own enzyme-based pro­ducts. We are extre­mely impres­sed by the breadth and depth of the manage­ment team, the clear vision and direc­tion of the com­pany, and the large poten­tial of the company’s pro­prie­tary food and nut­ri­tio­nal enhan­ce­ment pro­ducts. We could not be more plea­sed to be a co-inves­tor with Capri­corn Ven­ture Part­ners from Bel­gium in this very high-poten­tial invest­ment. Heyfair’s vision is to radi­cally improve the use of hand dis­in­fec­tant by making the coverage visi­ble to the user and others. The com­pany has strong IP around the addi­tion of a spe­cial dye that makes hand dis­in­fec­tant appear color­fully when app­lied and sub­se­quently the color com­ple­tely disap­pears wit­hin two minu­tes of app­li­ca­tion. Making the com­ple­teness (or lack the­reof) of hand dis­in­fec­tant app­li­ca­tion visi­ble helps to ensure that medi­cal staff suf­fi­ci­ently dis­in­fect bet­ween each encoun­ter with a pati­ent. With the rise of anti­bio­tic-resistant super bugs, it is impe­ra­tive that medi­cal prac­ti­tio­ners have a tool to visi­bly verify and coerce their actions to mini­mize the spread of disease in their hos­pi­tals and cli­nics. With this invest­ment from bm|t and mul­ti­ple expe­ri­en­ced busi­ness angels with ideal back­grounds to help Heyfair bring its pro­duct to mar­ket, Heyfair is well on its way to reinven­ting hand sani­ta­tion. Inter¦cus is a highly inno­va­tive desi­gner and manu­fac­tu­rer of trau­ma­to­logy solu­ti­ons. The trau­ma­to­logy mar­ket is attrac­tive, gene­rally car­ry­ing even hig­her gross mar­gins than the ortho­pe­dics mar­ket, but it is also highly com­pe­ti­tive with several large play­ers con­trol­ling a signi­fi­cant per­cen­tage of the glo­bal mar­ket. Import­antly, over 15 years Inter¦cus has repeatedly pro­ven its abi­lity to deve­lop inno­va­tive tech­no­lo­gies, which make the company’s pro­ducts highly deman­ded by phy­si­ci­ans. This invest­ment round is pre­do­mi­nantly focu­sed on brin­ging three new highly inno­va­tive and pro­prie­tary pro­ducts to mar­ket over the next two years. These pro­ducts alone have the poten­tial to increase the company’s sales many mul­ti­ples above cur­rent levels. We are extre­mely plea­sed to be invested in a pro­ven sub­stan­tial com­pany that pos­ses­ses a very attrac­tive near-term pipe­line. Pamyra has built an impres­sive and effi­ci­ent boo­king plat­form for ship­ping (spe­di­tion) that allows custo­mers to quickly com­pare opti­ons and to book a pre­fer­red ship­ping pro­vi­der. Using Pamyra saves custo­mers signi­fi­cant time and money and makes inco­m­ing orders much easier to triage and pro­cess for ship­ping pro­vi­ders. The com­pany has recently tested mul­ti­ple sales and mar­ke­ting chan­nels and the results in terms of custo­mer acqui­si­tion costs vs. boo­king activity and sti­cki­ness are very com­pel­ling. bm|t joi­ned ano­t­her insti­tu­tio­nal inves­tor and several pri­vate inves­tors for this invest­ment, which Pamyra will use to fur­ther ramp volume on its impres­sive ship­ping plat­form. In Ger­many, hos­pi­tals are legally requi­red to find pla­ce­ment in a nur­sing home for pati­ents that are unable to safely return to their home after a hos­pi­tal stay. The search for an avail­able and appro­priate nur­sing home pla­ce­ment is extre­mely time inten­sive for both hos­pi­tals and nur­sing homes. Pfle­ge­platz­ma­na­ger has built a user-fri­endly and easy to ope­rate cloud-based soft­ware plat­form that allows hos­pi­tals to see which nur­sing home beds are avail­able with full details about the care-level of the faci­li­ties. Nur­sing homes can more opti­mally plan and book their avai­la­bi­lity and can more easily avoid recei­ving pati­ents whose care needs dif­fer from the inten­sity level that they pro­vide. Early results show that Pfle­ge­platz­ma­na­ger is redu­cing the average time requi­red to appro­pria­tely match a pati­ent to an appro­priate nur­sing home bed from days to under two hours, and con­se­quently avoi­ding much frus­tra­tion for faci­li­ties and fami­lies and saving the sys­tem signi­fi­cant sums of money. With this invest­ment from bm|t, the MBG Thü­rin­gen, and an expe­ri­en­ced busi­ness angel, Pfle­ge­platz­ma­na­ger has the resour­ces it needs to focus on rapidly increa­sing its custo­mer den­sity and create a power­ful net­work effect. Smart­Dye­Li­very deve­lops func­tio­n­a­li­zed nano­par­ti­cles in which the­ra­peu­tic com­pounds are enve­lo­ped and safely trans­por­ted to spe­ci­fic organs, which the medi­ci­nes are tar­ge­ting. This paten­ted plat­form deli­very tech­no­logy can be used for a wide range of the­ra­peu­tic app­li­ca­ti­ons and also allows for a uni­que thera­nostic use case. Cur­r­ently the Smart­Dye­Li­very team is focu­sing on a the­rapy for sep­sis indu­ced liver fail­ure with the goal of redu­cing the mor­ta­lity rate of such cases by 90%. With this invest­ment from bm|t and a savvy busi­ness angel, Smart­Dye­Li­very is well posi­tio­ned to take its uni­que nano­the­rapy through the next stage of cli­ni­cal deve­lop­ment. Sixty per­cent of tra­vel in Ger­many con­ti­nues to be boo­ked through phy­si­cal tra­vel agen­cies. Despite con­su­mer finan­cing having pene­tra­ted most retail ver­ti­cals, with, for example, nearly every piece of elec­tro­nic equip­ment avail­able for finan­ced purchase, the vast majo­rity of tra­vel agen­cies offer no finan­cing opti­ons for custo­mers. Ucan­doo has deve­lo­ped a sleek and easily inte­gra­ted plat­form for tra­vel agen­cies to quickly offer con­su­mers finan­cing opti­ons for tra­vel. For many con­su­mers, expe­ri­en­ces are beco­m­ing more valued than mate­rial pos­ses­si­ons, and we believe Ucan­doo is well posi­tio­ned to be a lea­ding plat­form for increa­sing access to tra­vel expe­ri­en­ces. Crowd Archi­tects has deve­lo­ped a soft­ware that allows for the tracking of online sales gene­ra­ted by influ­en­cer mar­ke­ting. Cur­r­ently, there is not suf­fi­ci­ent attri­bu­tion ana­ly­sis across chan­nels and over time for mar­ke­ters to pro­perly ana­lyze the effec­tiveness of influ­en­cer cam­pai­gns. 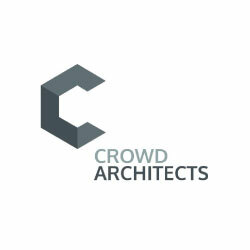 Crowd Archi­tects’ IROIN pro­duct, now allows brands and agen­cies enga­ging in influ­en­cer mar­ke­ting to gene­rate a mea­ning­ful ROI for influ­en­cer spend. bm|t was joi­ned in this round by a group of inves­tors lin­ked to a cor­po­ra­tion that is active in the mobile and influ­en­cer mar­ke­ting space, which, in addi­tion to the capi­tal, brings signi­fi­cant mar­ket know­ledge and expe­ri­ence to Crowd Archi­tects. The com­pany will use the invest­ment to add fea­tures to IROIN and advance its mar­ket pene­tra­tion. 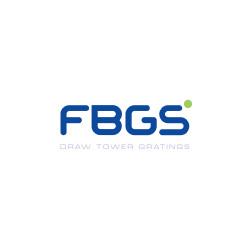 FBGS Tech­no­lo­gies is a lea­ding deve­lo­per and sup­plier of advan­ced fiber-optic sen­sing solu­ti­ons and com­pon­ents based on Fiber Bragg Gra­tings (FBG) tech­no­logy. The company’s pro­ducts offer many moda­li­ties of moni­to­ring for a wide range of app­li­ca­ti­ons and are cur­r­ently being used in indus­tries such as medi­cal, aero­space, oil & gas, telecom, and test & mea­su­rement. This invest­ment was led by X2 Capi­tal, and bm|t and other cur­rent inves­tors par­ti­ci­pa­ted in the round. FBGS will use the funds to fur­ther deve­lop its sys­tems solu­ti­ons offe­rings, to expand and auto­mate its sen­sor manu­fac­tu­ring capa­city in Jena, and to build sales ope­ra­ti­ons and chan­nels in key Asian growth regi­ons such as China. 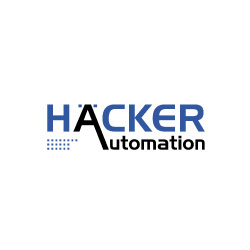 Häcker Auto­ma­tion designs and pro­du­ces phe­no­me­n­ally fle­xi­ble machi­nes for „mass-cus­to­mi­zed“ pro­duc­tion of elec­tro­nic com­pon­ents and sys­tems. Impres­si­vely, appro­xi­mately 60% of hea­ring aids glo­bally are pro­du­ced on Häcker Auto­ma­tion machi­nes, which allow for intri­cate and deli­cate pro­duc­tion work at a minia­tu­ri­za­tion level that very few com­pa­nies, if any, world­wide can offer. The com­pany has recently evol­ved its line of machi­nes, making them even more scala­ble and cus­to­miz­able for custo­mers. This deve­lop­ment has reso­na­ted well in the mar­ket and is gene­ra­ting unpre­ce­den­ted demand for Häcker machi­nes, as elec­tro­nics manu­fac­tu­rers endea­vor to find fle­xi­ble pro­duc­tion solu­ti­ons for ever fas­ter pro­duct cycles. Our invest­ment is a clas­sic growth finan­cing aimed at allo­wing the com­pany to capi­ta­lize on its imme­diate sales oppor­tu­nities. 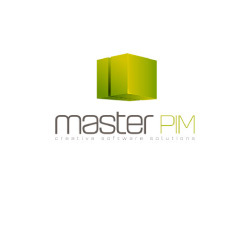 Mas­ter­PIM has deve­lo­ped a sleek and cloud-based Pro­duct Infor­ma­tion Manage­ment (PIM) soft­ware that allows manu­fac­tures, tra­ders, retailers, and mar­ket­pla­ces to easily manage com­plex pro­duct infor­ma­tion data­sets and effort­lessly pro­ject the pro­ces­sed data into online shops and cata­lo­gues. Cur­r­ently, over 90% of mid-sized manu­fac­tu­rers have no PIM solu­tion, so the mar­ket is lar­gely a green­field oppor­tu­nity. One of the key rea­sons that a large por­tion of the mar­ket has not adop­ted a PIM sys­tem despite the increa­sing demands of sales partners/channels on pro­duct data is that tra­di­tio­nal PIM solu­ti­ons are heavy, hosted soft­ware with expen­sive and inva­sive instal­la­ti­ons. Mas­ter­PIM allows custo­mers to be online with an effec­tive PIM sys­tem wit­hin hours and at a frac­tion of the cost of the old PIM sys­tems on the mar­ket. This invest­ment round was com­pri­sed of cur­rent inves­tors, inclu­ding bm|t, ano­t­her insti­tu­tio­nal inves­tor, and a family office, and will allow Mas­ter­PIM to expand its sales orga­ni­za­tion. onc­gnostics’ Gyn­Tect test allows women who have tested posi­tive for HPV to quickly gain valu­able infor­ma­tion regar­ding the degree of serious­ness of their dia­gno­sis. Gyn­Tect is able to detect even early sta­ges of DNA methyla­tion that are the first signs of can­cer deve­lop­ment. Ear­lier detec­tion of can­cer deve­lop­ment allows phy­si­ci­ans to treat pati­ents soo­ner, which can often be life­saving. Addi­tio­nally and very import­antly, most HPV infec­tions resolve wit­hout pro­gres­sion to cer­vi­cal can­cer, mea­ning unne­cessary ope­ra­ti­ons, tre­at­ments, and men­tal stress can be pre­ven­ted if it can be demons­tra­ted that a HPV infec­tion has not cau­sed DNA methyla­tion. This invest­ment round by bm|t and many busi­ness angels from the life sci­en­ces com­mu­nity fol­lows onc­gnostics’ very suc­cess­ful Seed­match finan­cing at the begin­ning of this year. 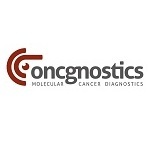 onc­gno­sitcs will use the pro­ceeds from both invest­ments for mar­ke­ting activi­ties and the fur­ther deve­lop­ment of addi­tio­nal bio­mar­ker-based tests for other forms of can­cer. Two of the 14 invest­ments from Q3 2018 have opted to stay in ste­alth mode for now while they fina­lize important IP and busi­ness activi­ties. We look for­ward to repor­ting about these invest­ments in the future.